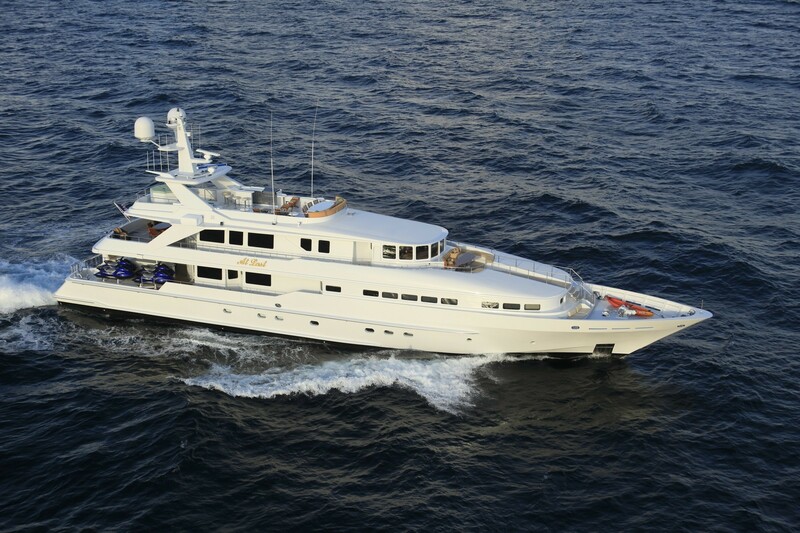 Motor yacht AT LAST (previously "Lady Joy") was built in 1990 at the famous Heesen yard. 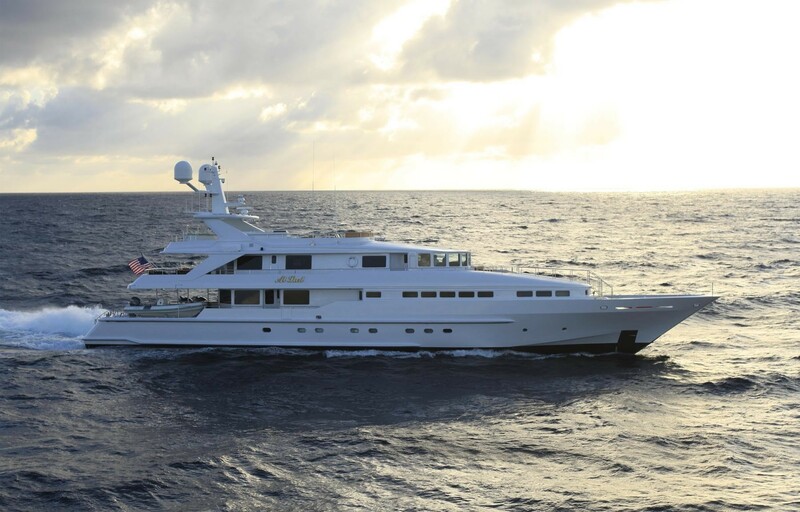 Since then she has undergone a 2-year refit completed in 2009, as well as an interior refit in 2013/2014, and is virtually a new yacht. 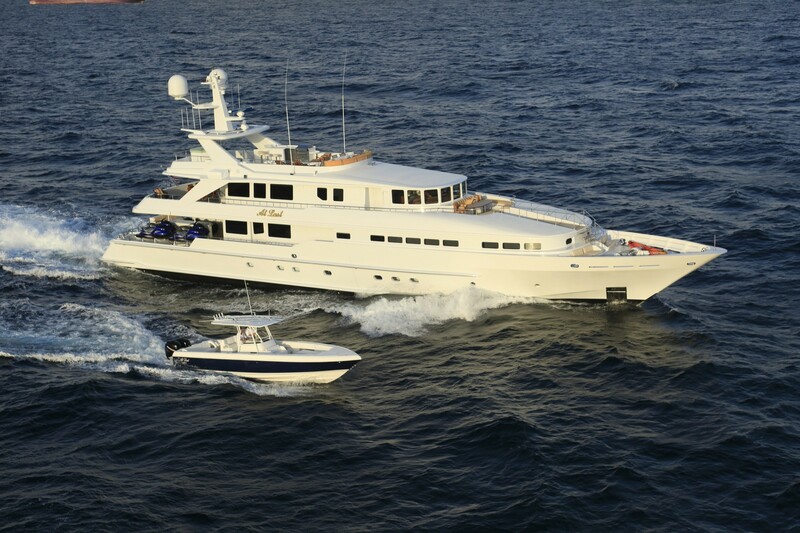 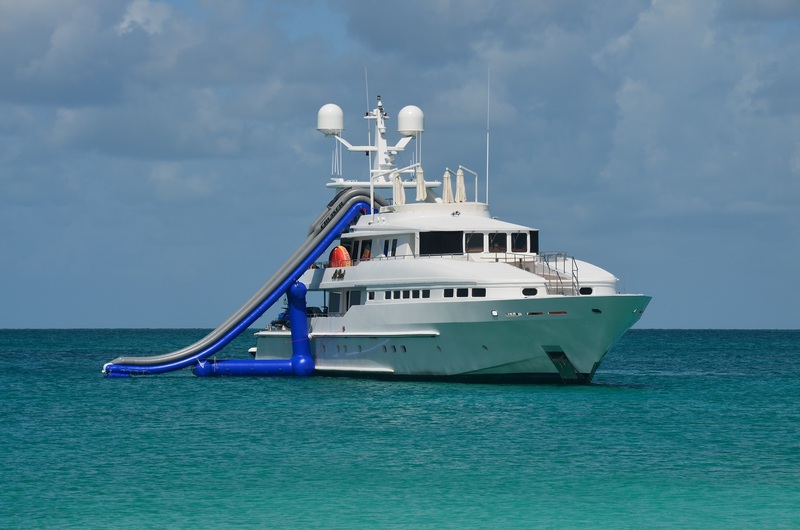 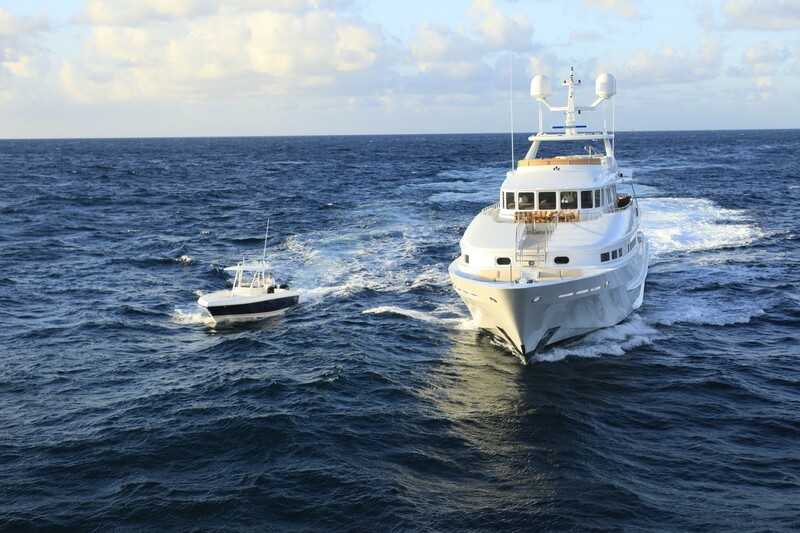 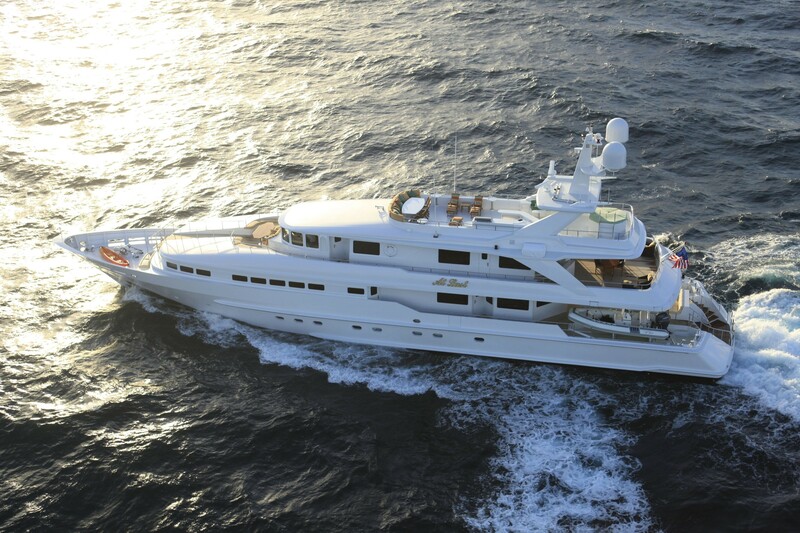 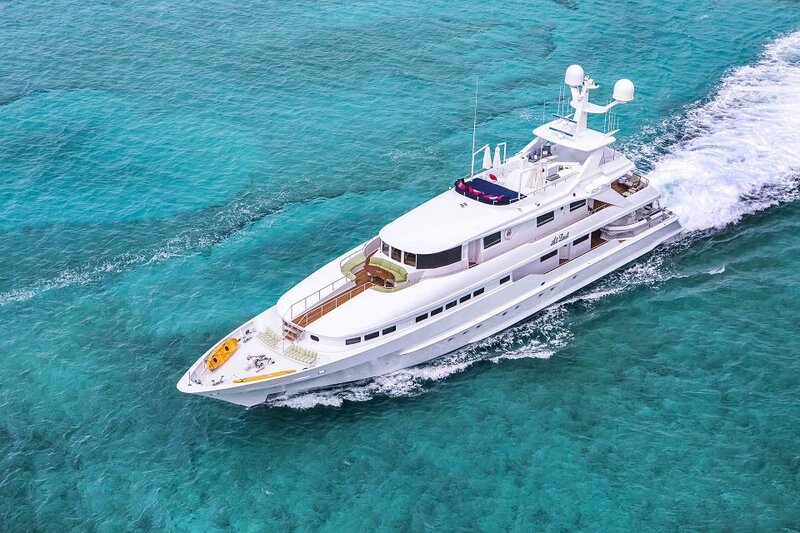 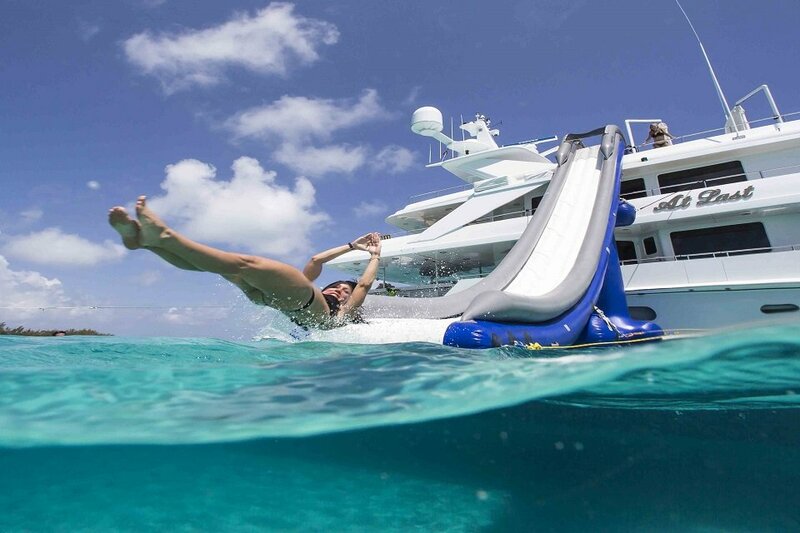 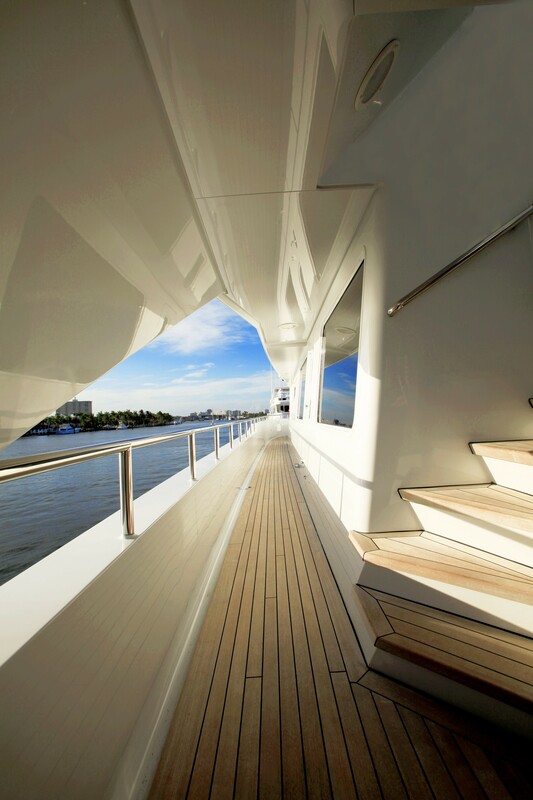 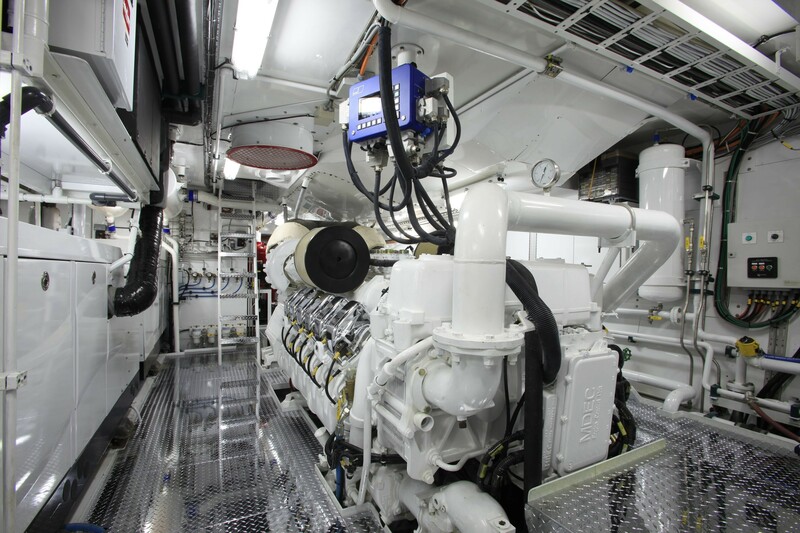 Her KaMeWa water jets and shallow draft make her ideally suited for the Bahamas and Florida Keys where she is based. 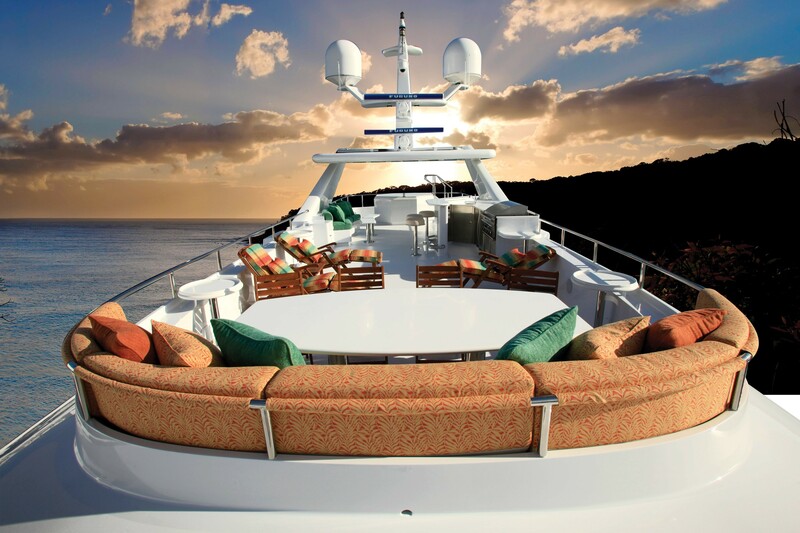 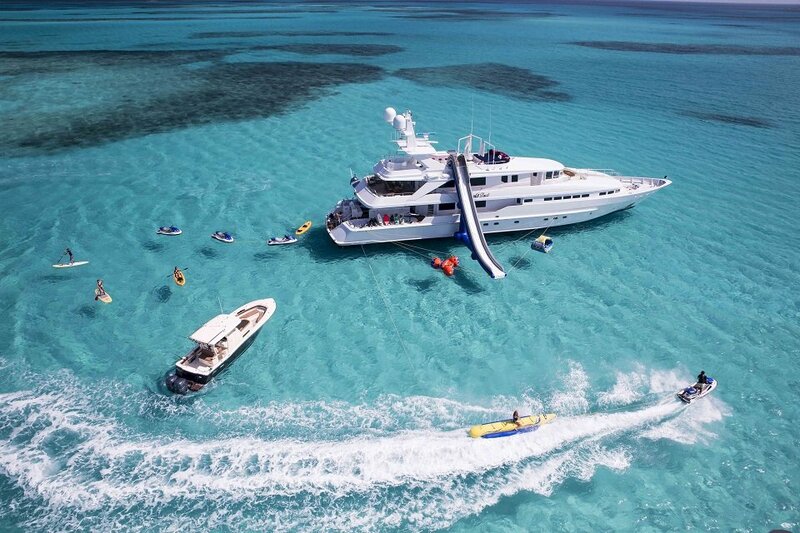 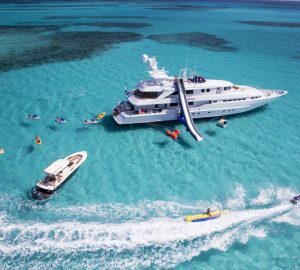 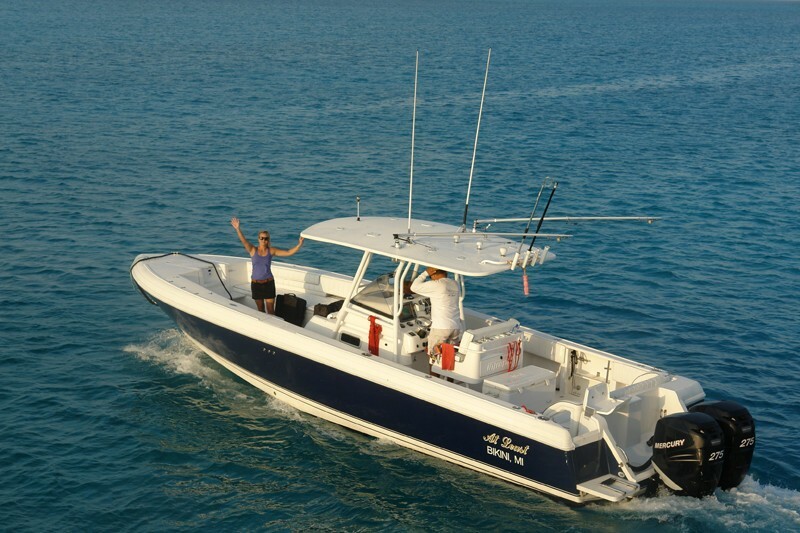 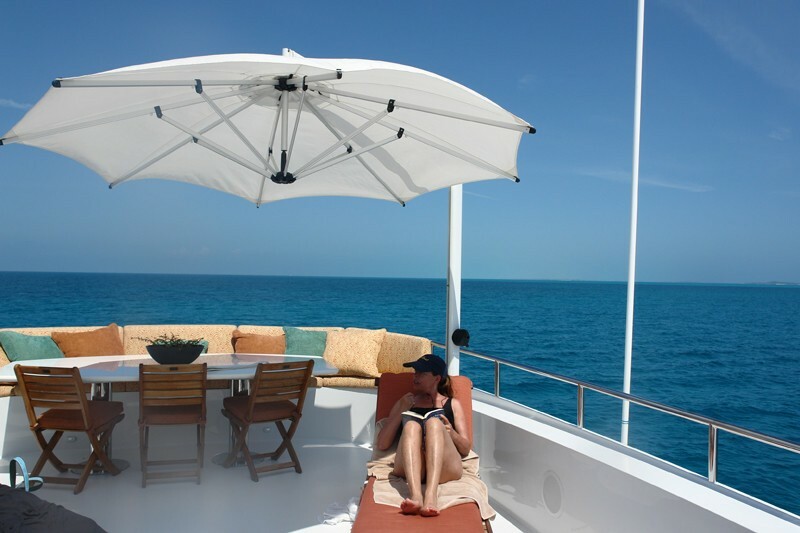 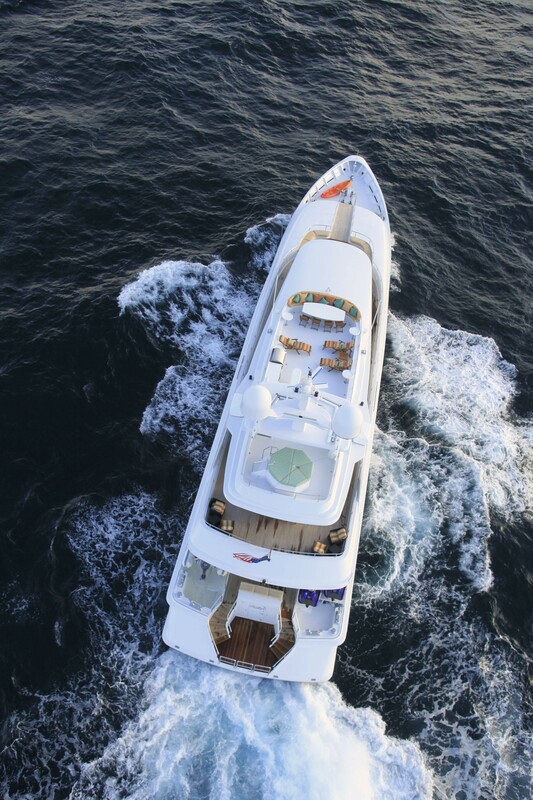 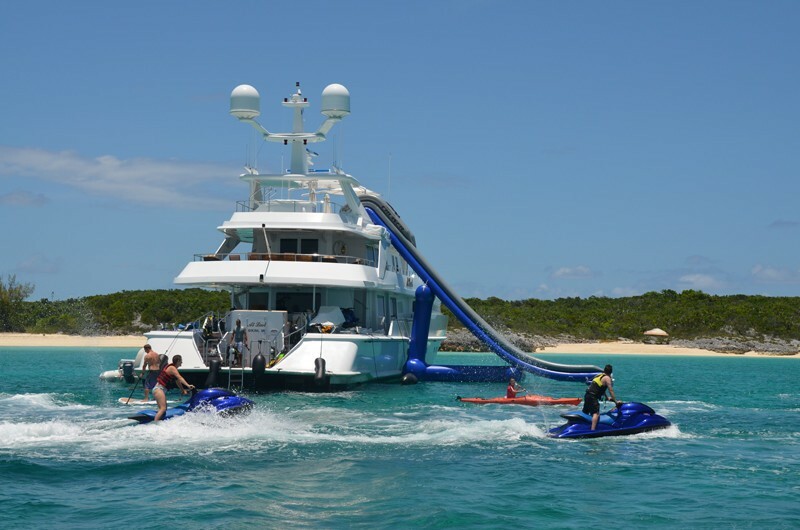 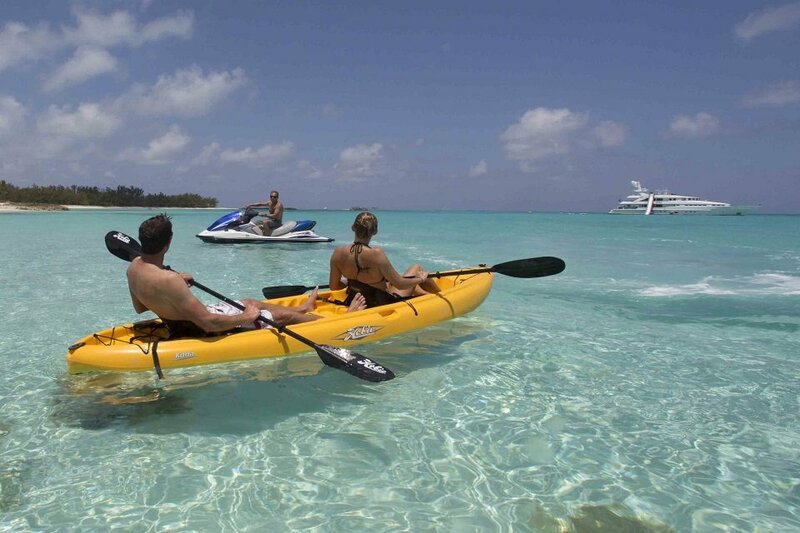 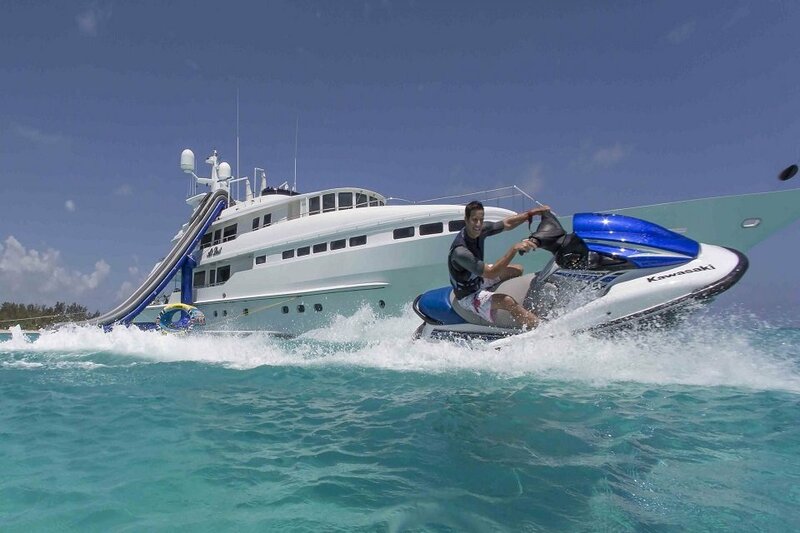 She is an ideal family charter boat with accommodation for 11 guests and an incredible array of toys. 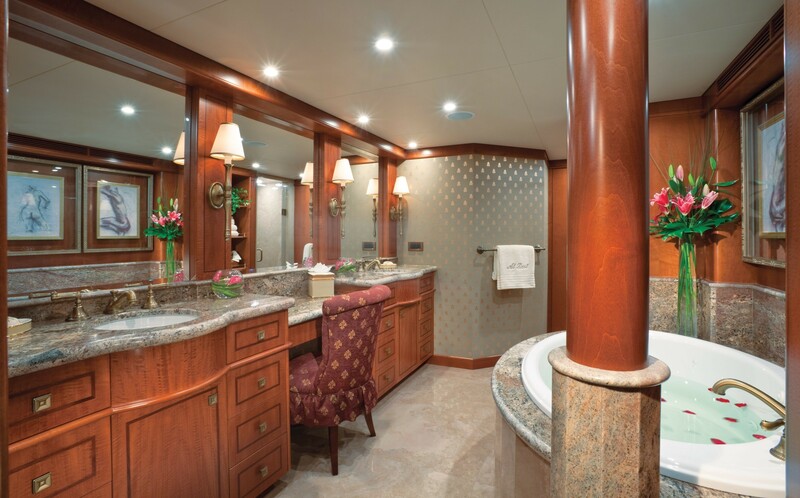 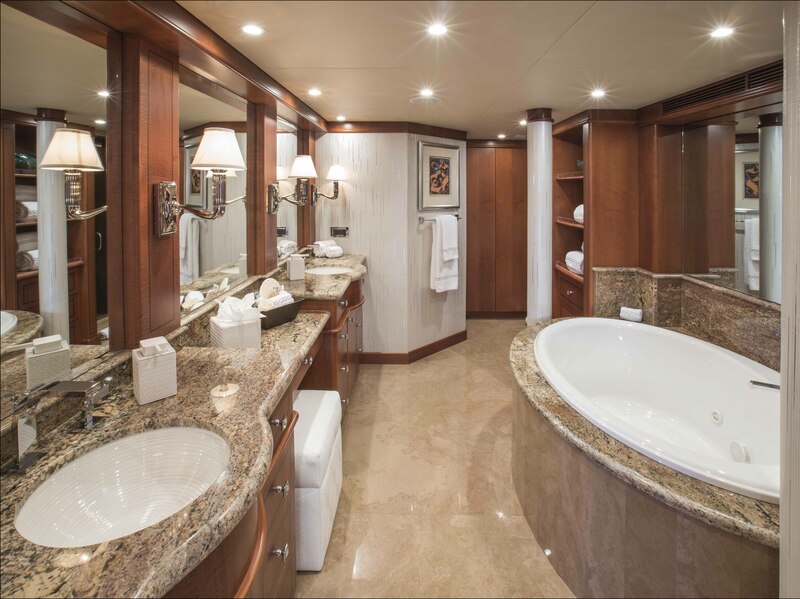 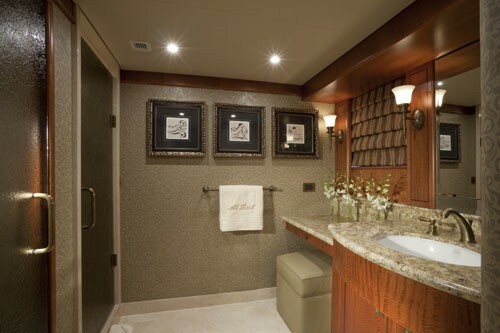 Heesen motor yacht, AT LAST, has an octagonal main salon that is both warm and inviting. 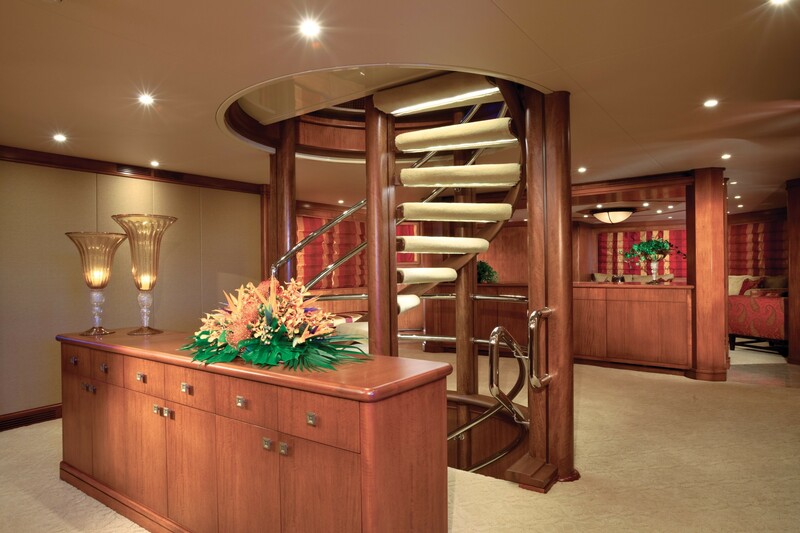 A spiral staircase divides the salon from the dining area and stretches from the accommodation on the lower floor to the bridge deck and sky lounge. 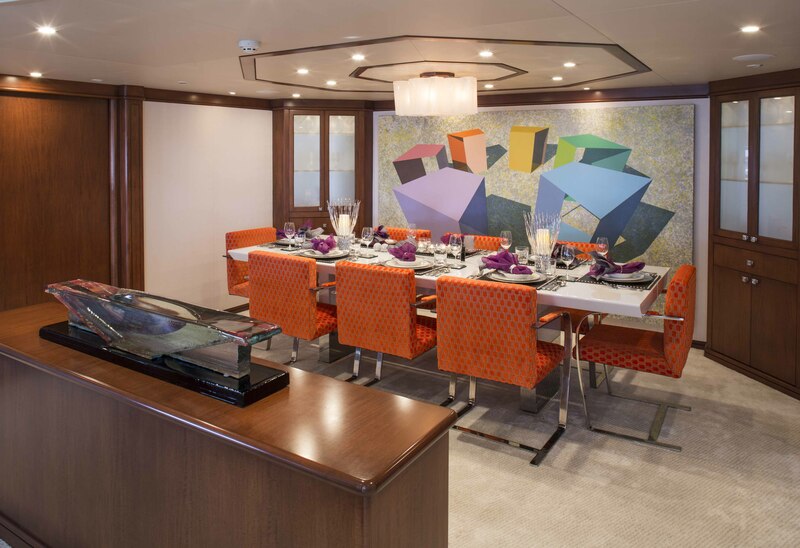 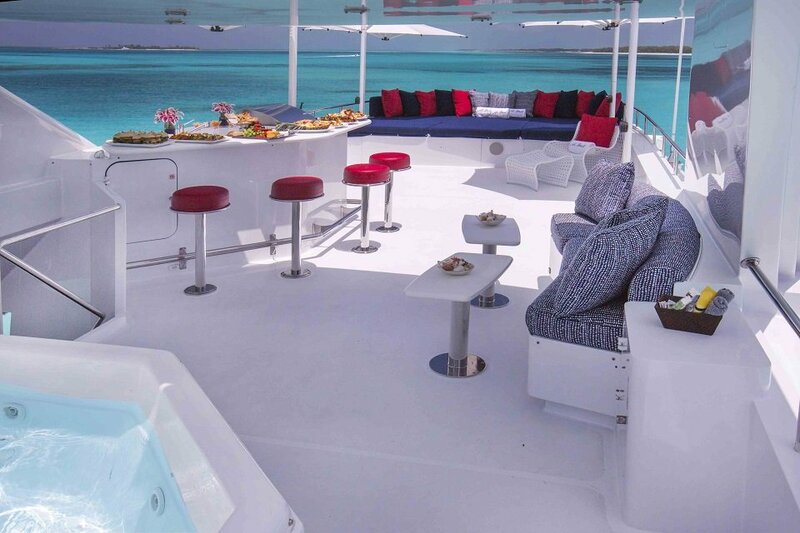 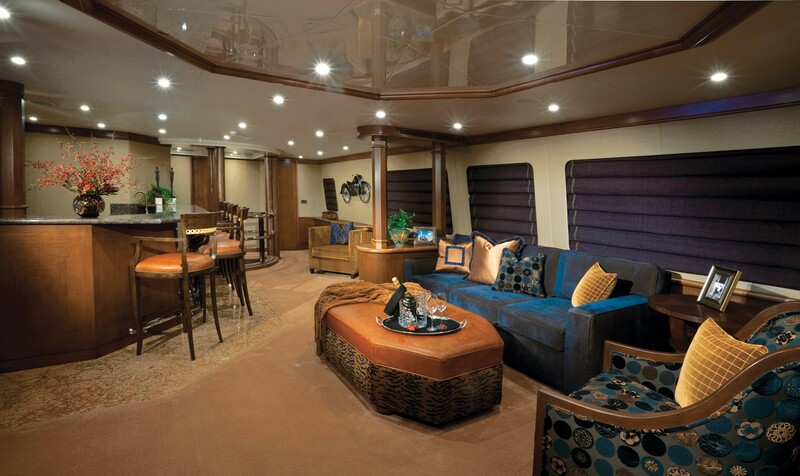 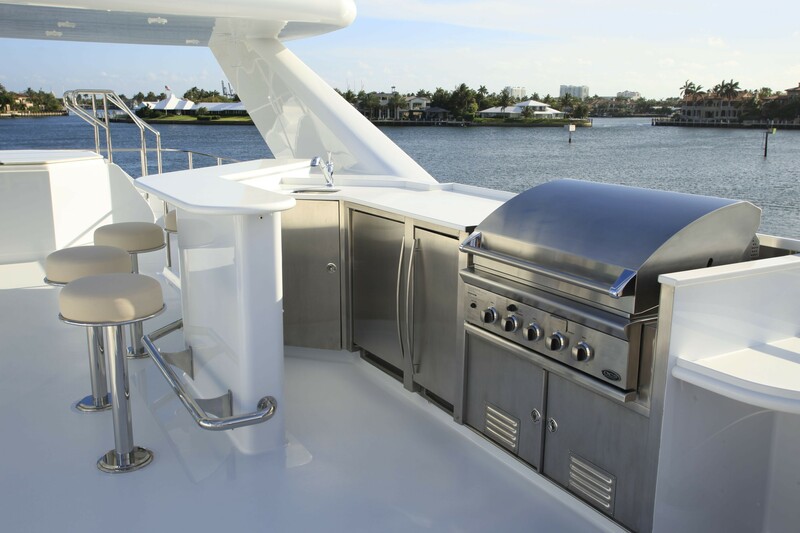 The sky lounge features a full wet bar with stools, comfortable seating and sliding doors with access to the aft deck dining and seating area. 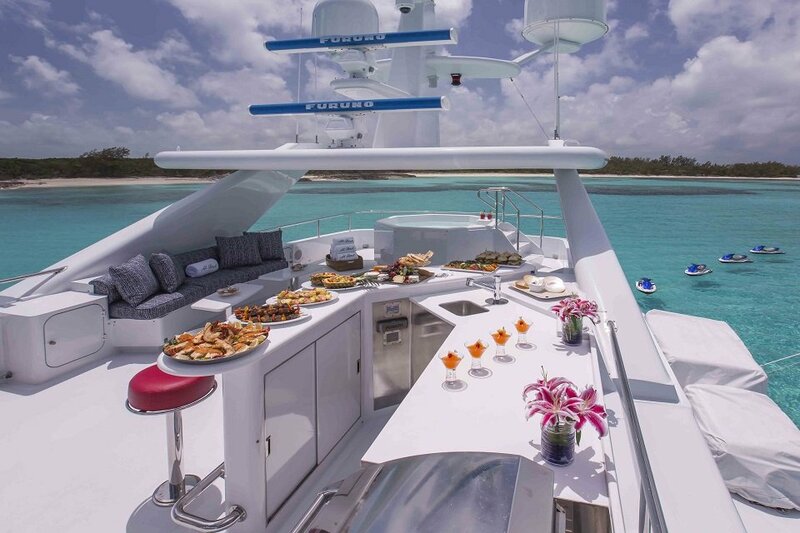 On the top level are the spacious sun deck with Spa Pool, ample lounging space, BBQ, bar, lounging and yet another table and chairs to seat up to 8. 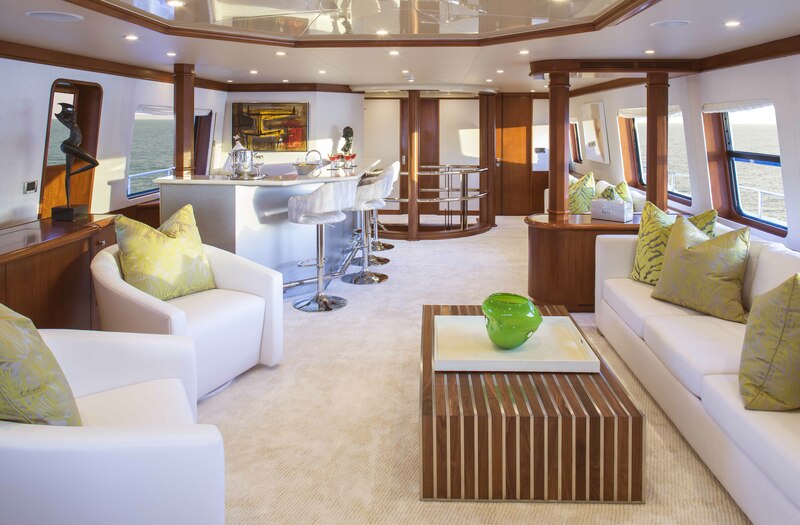 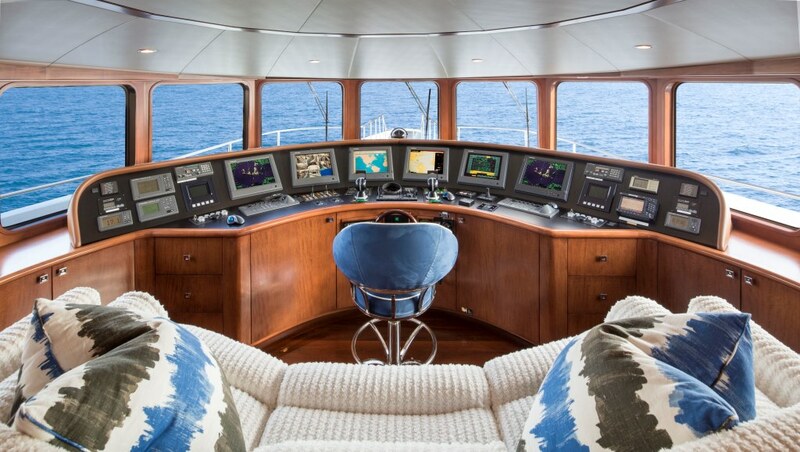 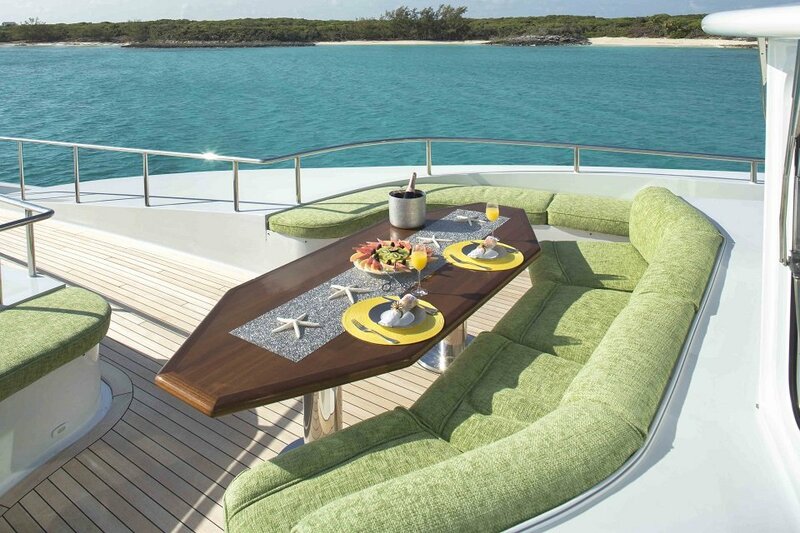 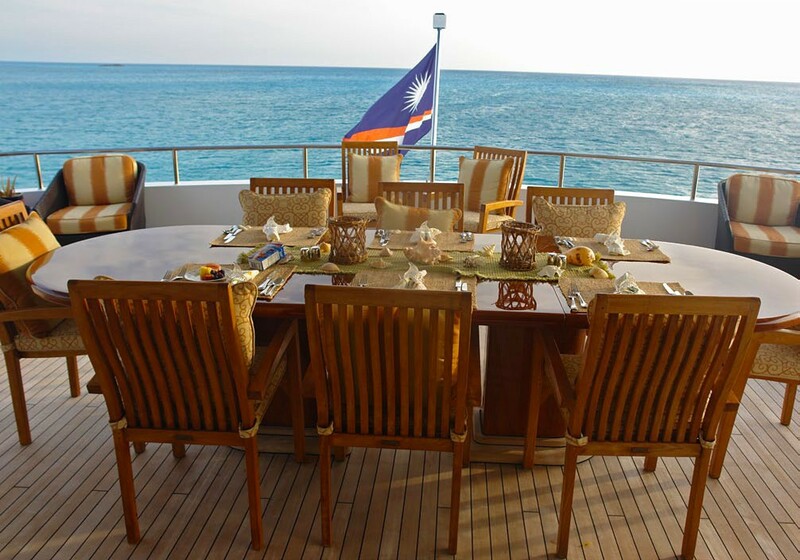 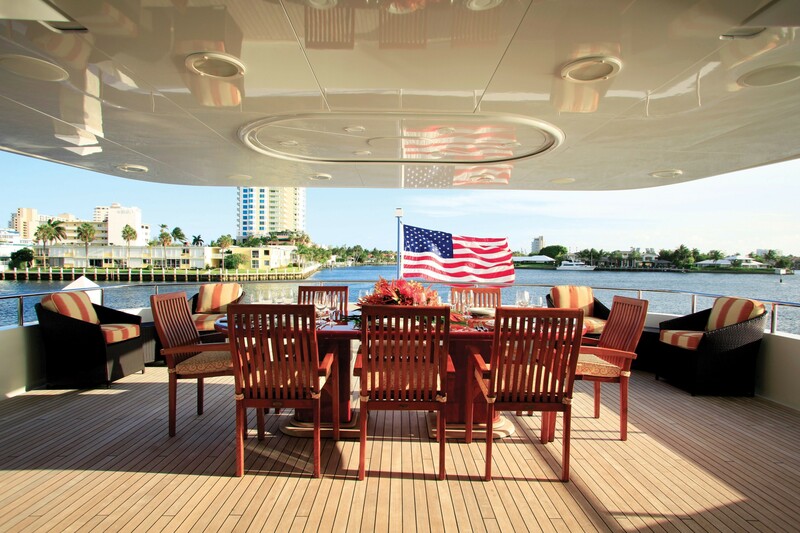 The aft deck table can seat up to 12, and there is also a Portuguese bridge forward of the pilothouse that seats 6. 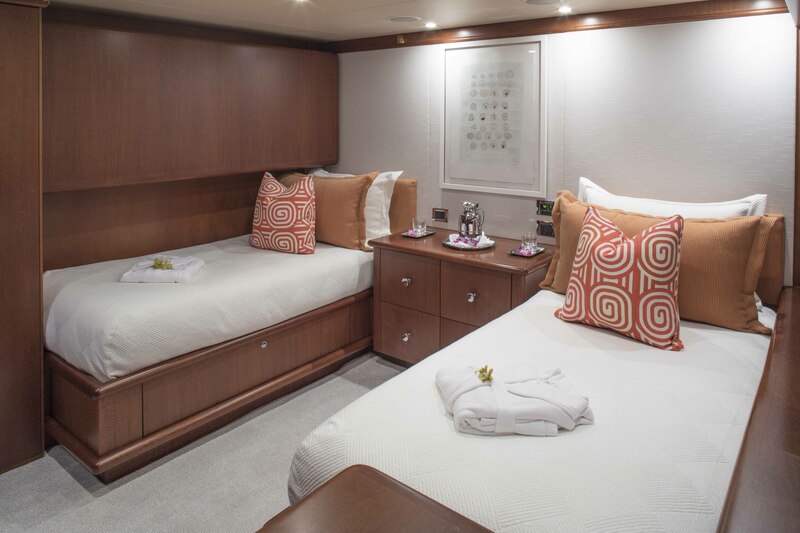 The full beam Owner's Suite which offers a panoramic view or complete privacy with custom fitted blinds is located on the main deck forward with a central king size bed and a full entertainment system. 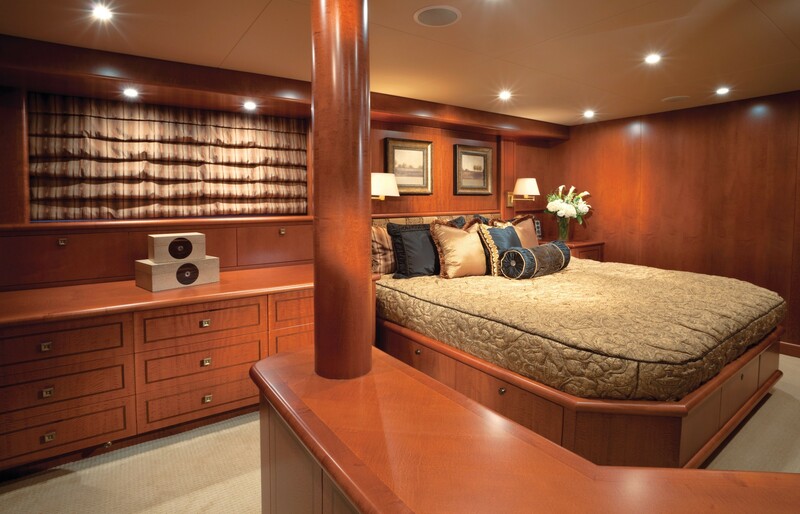 There is a sofa to port, a desk to starboard and two walk-in closets. 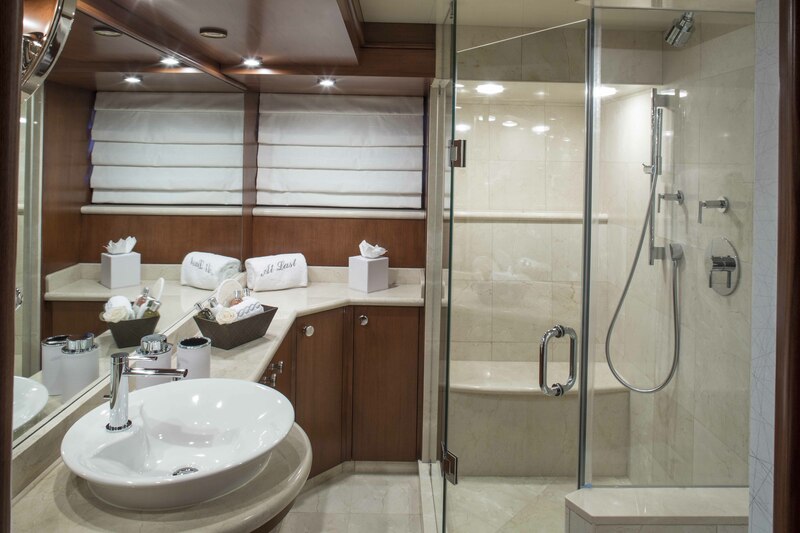 The master bath boasts two sinks, a large spa pool and huge shower with a 3rain shower overhead and three walls fitted shower heads. 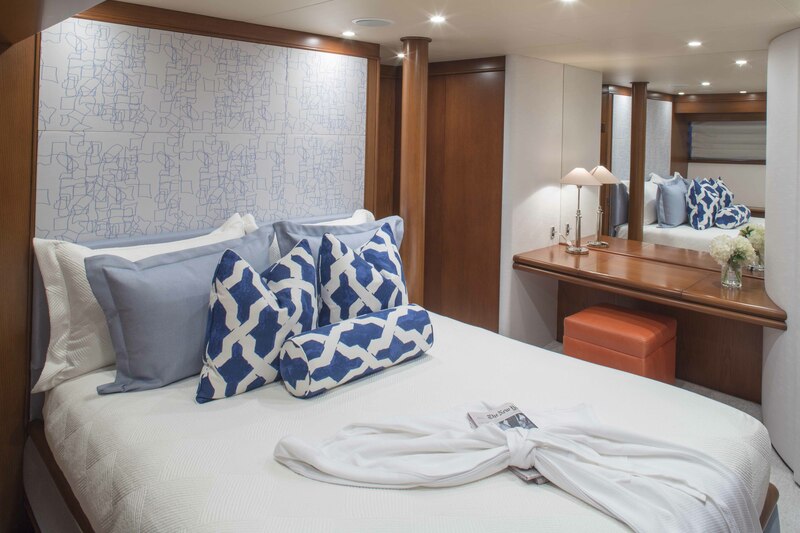 The remaining four guests staterooms are located on the lower deck and include a King, 2 Queens and 1 Twin with additional Pullman berth, the doubles have ensuite bathrooms with showers, and the twin has a spa pool tub with shower. 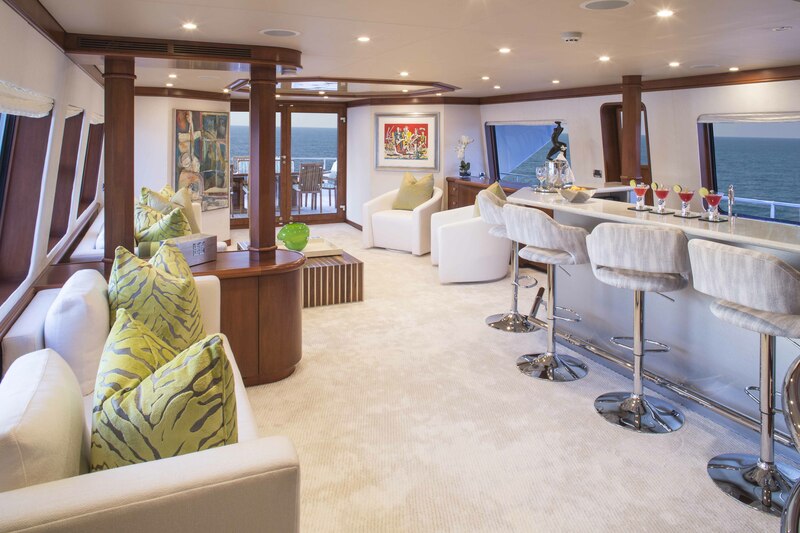 The semi-circular lobby on the lower deck offers refrigerator drawers for the guest’s convenience. 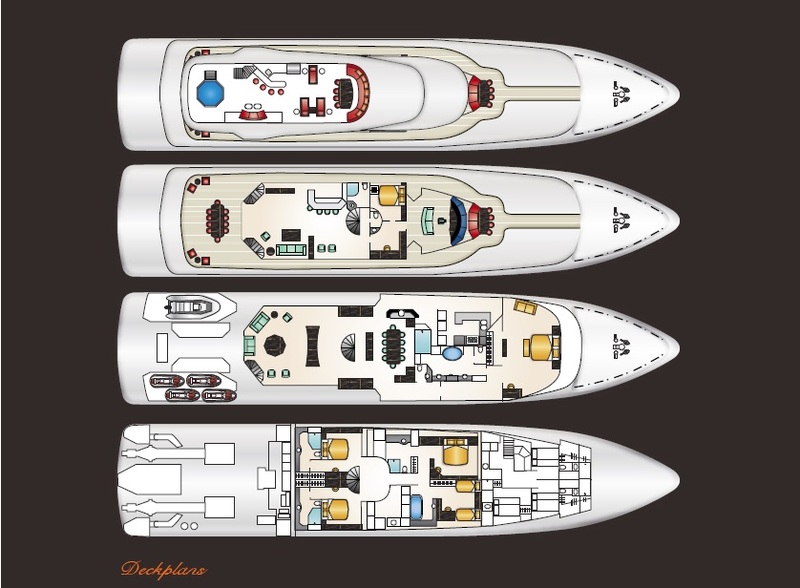 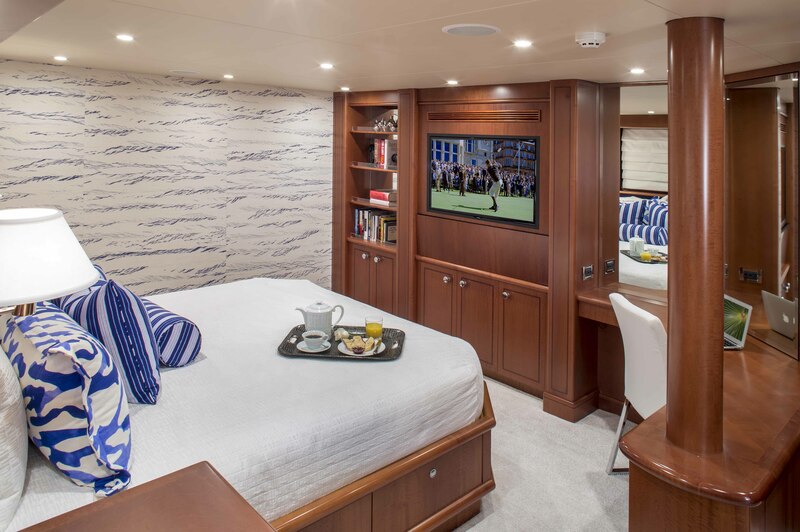 2013/2014 refit of luxury yacht, AT LAST, includes new carpeting, wall coverings, furniture, window shades, deck cushions and more that provide her with a contemporary interior style. 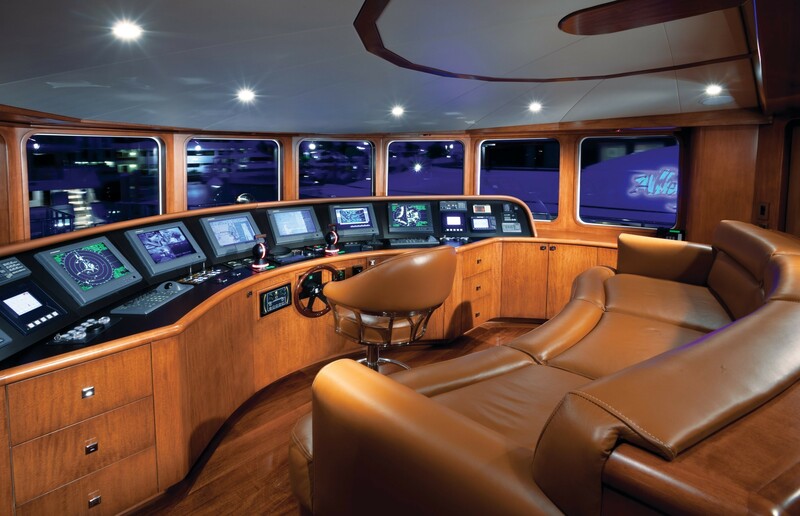 The refit also included an upgrade to the audiovisual systems. 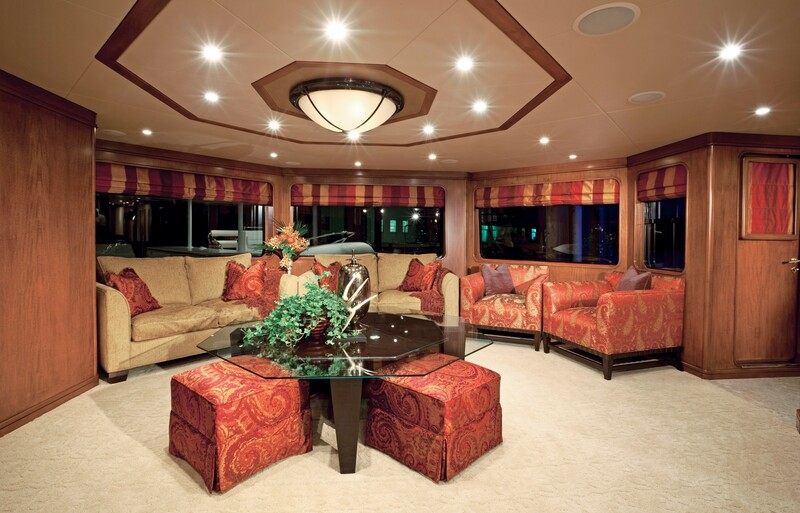 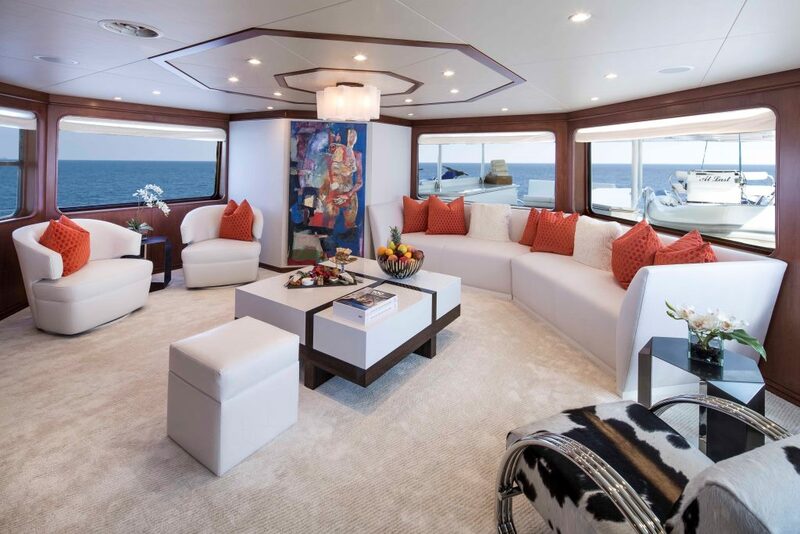 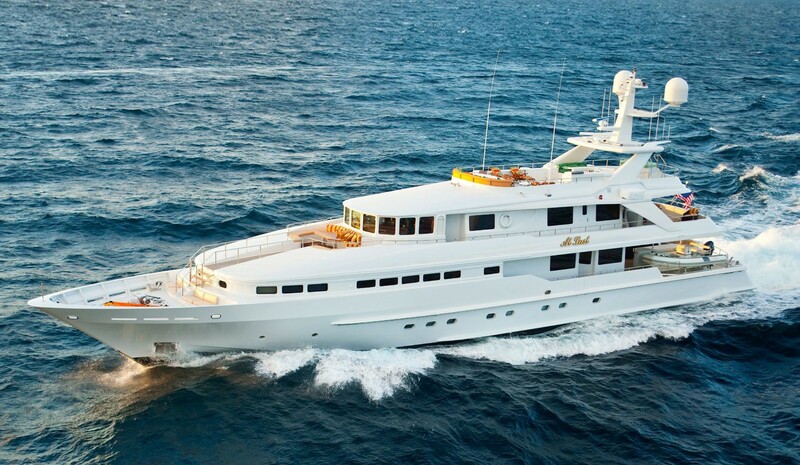 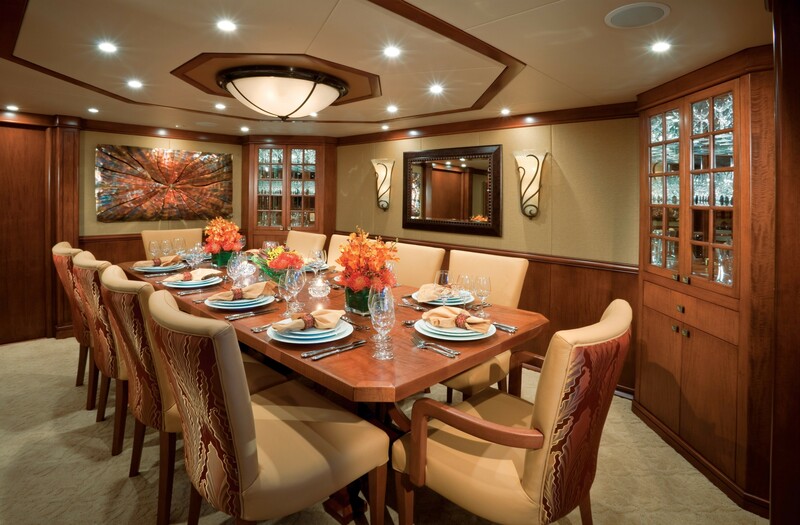 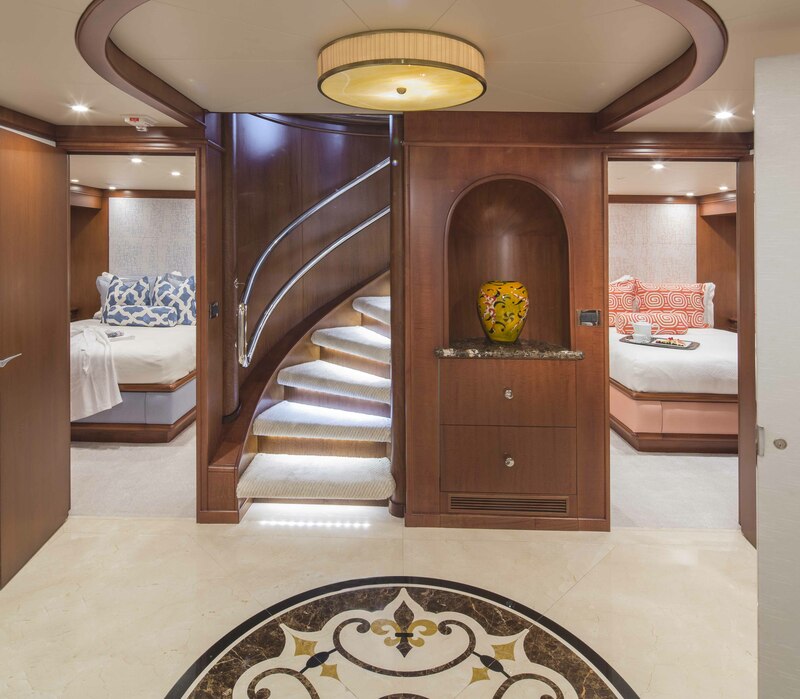 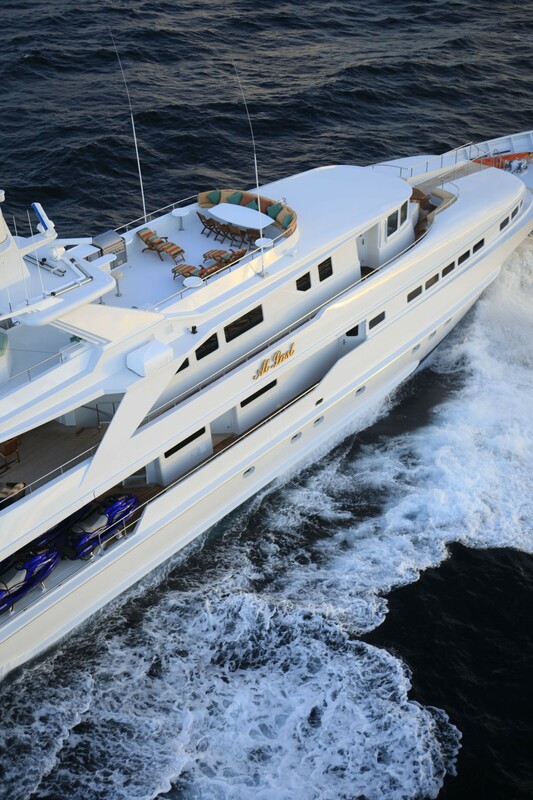 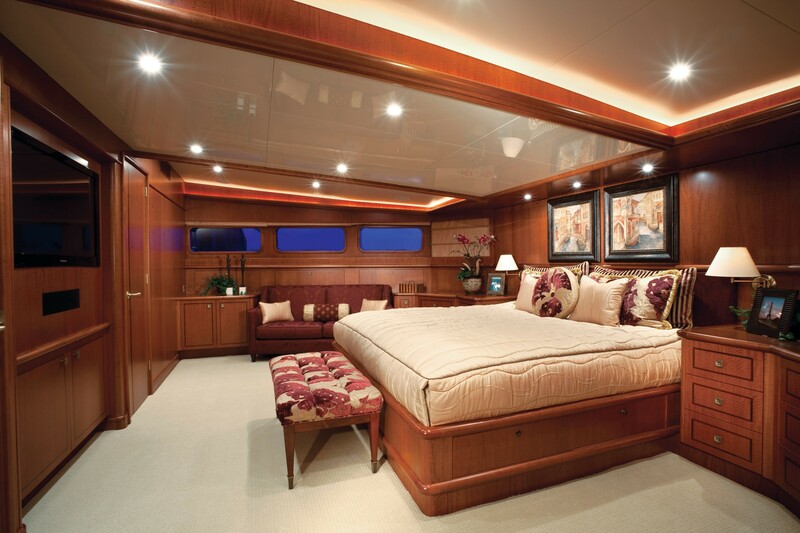 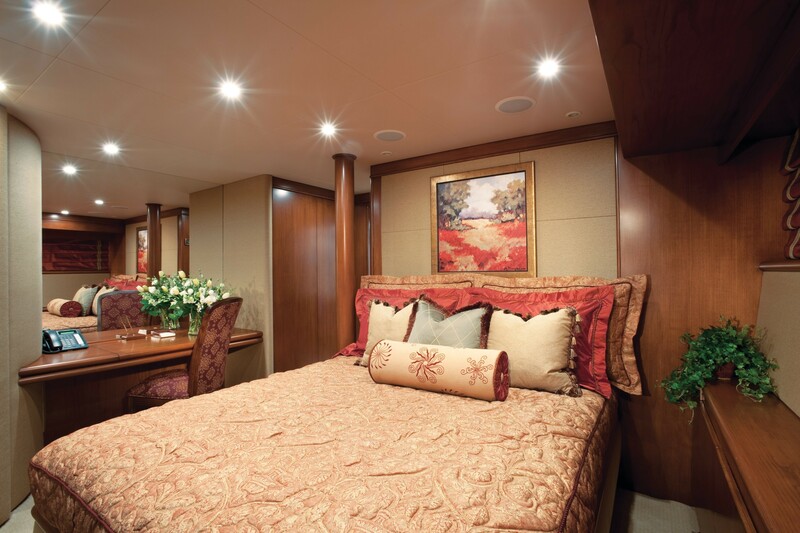 Luxury motor yacht AT LAST can sleep 11 guests comfortably in 5 cabins. 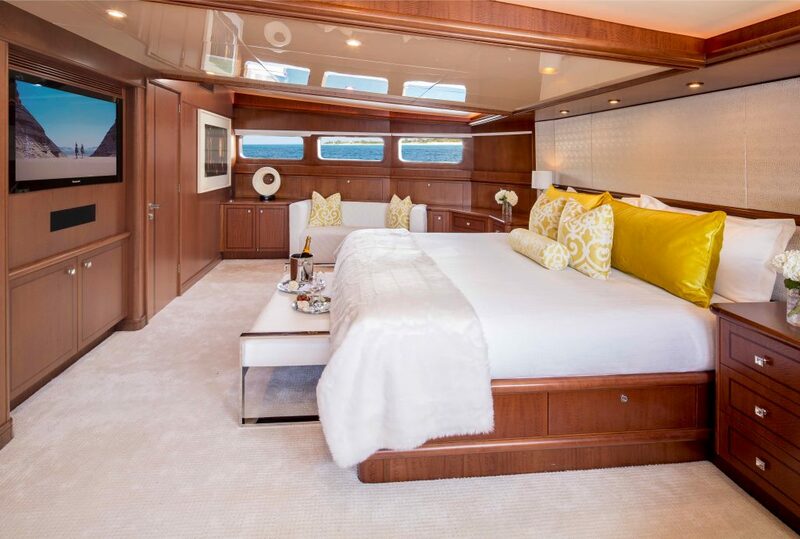 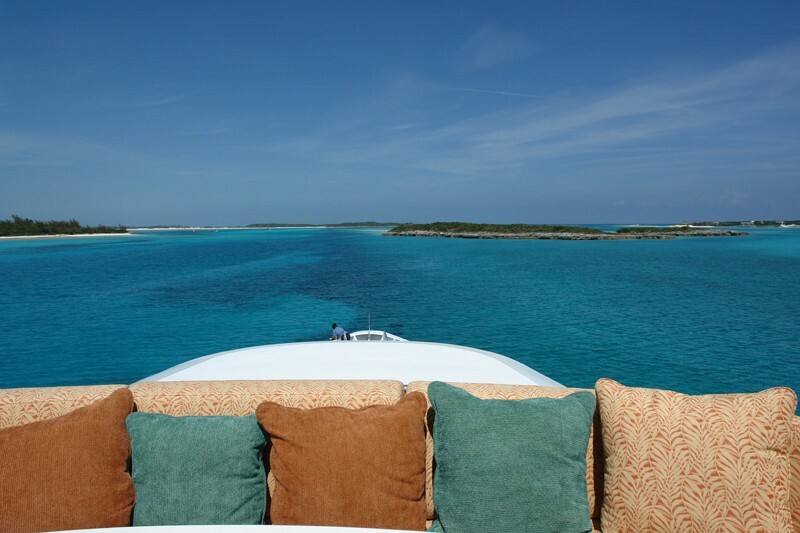 The full beam Owner's Suite which offers a panoramic view or complete privacy with custom fitted blinds, is located on the main deck forward with a central king size bed and a full entertainment system. 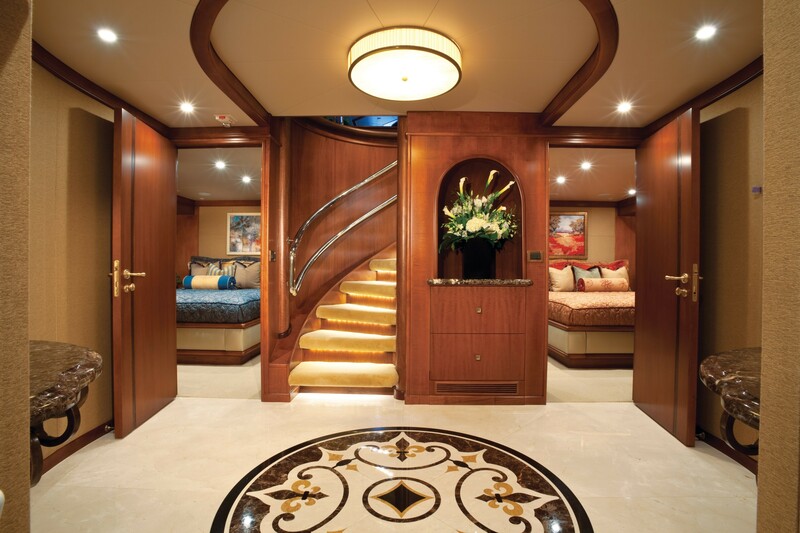 There is a sofa to port, a desk to starboard and 2 walk in closets. 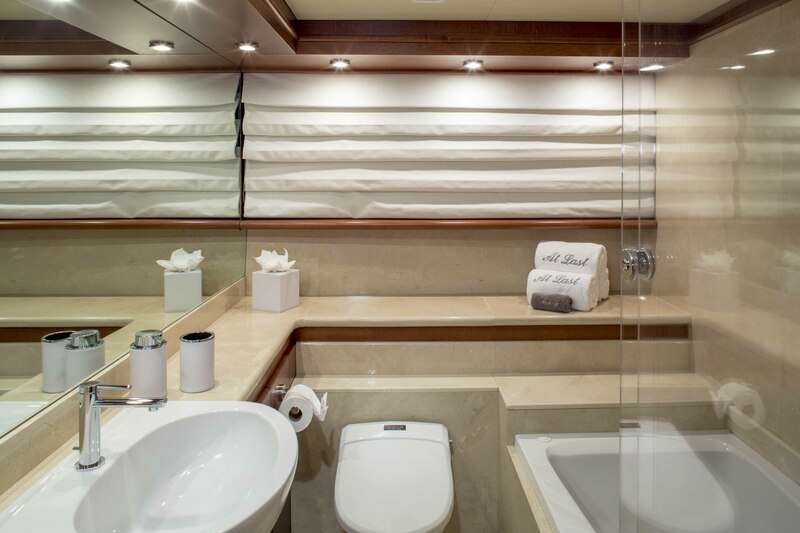 The master bath boasts 2 sinks, a large spa pool and huge shower with rain shower overhead and 3 wall fitted shower heads. 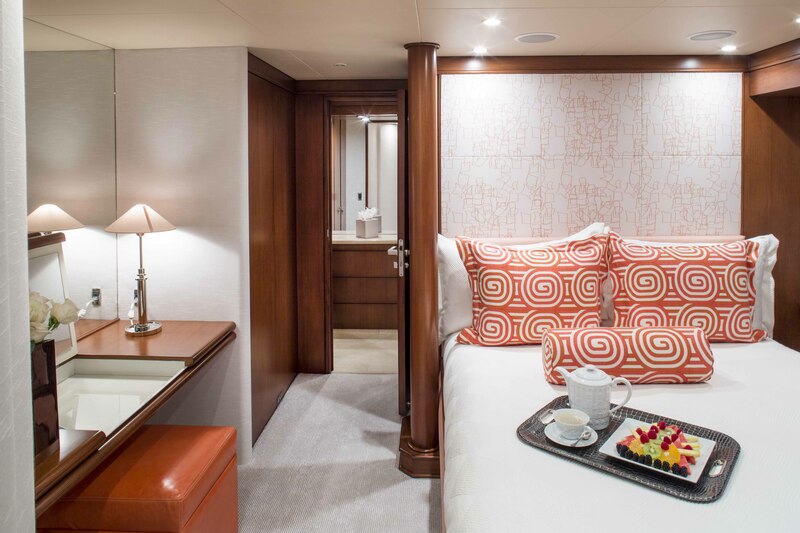 The remaining 4 guests staterooms are located on the lower deck and include a King, 2 Queens and 1 Twin with additional Pullman berth, the doubles have ensuite bathrooms with showers and the twin has a spa pool tub with shower.